Sorry but what is SAL when referring to the dand? Teak wood is saguan in India. AAH YES I've often heard it referred to as Malaysian teakwood too by makers & friends in India !??! O.K.…so, it looks like I have made a very awkward entrance into your forum. My sincere apologies to all concerned, especially to you, Daniel. 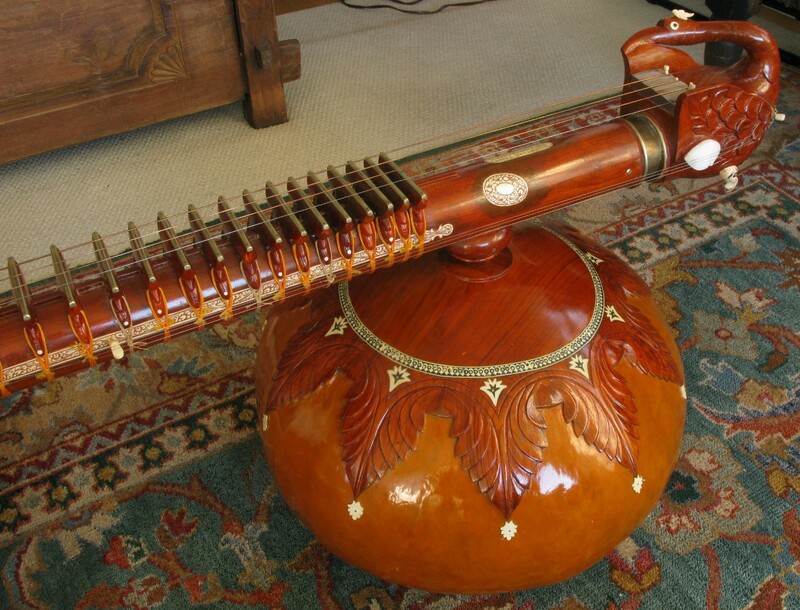 This is in fact a jawari that I have done, and actually, probably the very first vina bridge made of this material, after having used it for my own instrument! Sorry again! 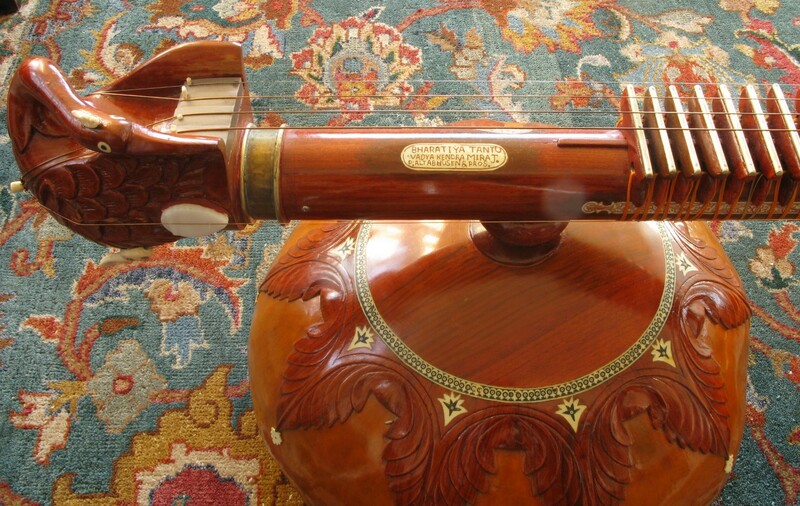 Hello, I am interested on this instrument. May I ask details about the tumba's diameter, the dandi's diameter, the distance between the tumbas the overall length of the dandi. Thanks very much in advance for the reply. distance between tumbas: 12 1/4"
overall length of dandi: 67"
distance between nut and front edge of bridge: 38"
Hi Daniel, thanks for the information. 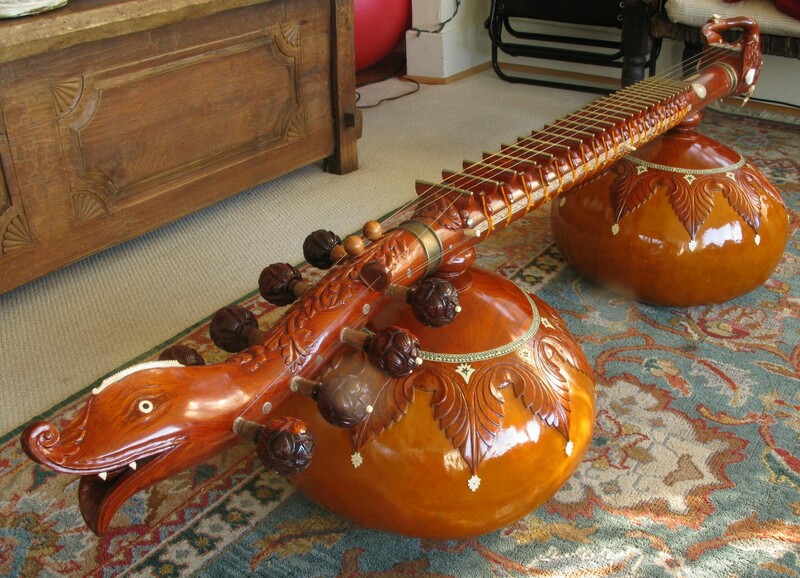 I do have sent you this morning a private message asking further details about the veena. Let me know if it went through, as I do not have any feed-back online about having actually sent the message.